Nokia announced the Nokia X, Nokia X+ and Nokia XL, the AOSP Android Open Source Project based Smartphone with Fastlane UI and Microsoft Service on top. Nokia X family comes with tile-based user interface, Fastlane, apps from Nokia Store, Microsoft services, Here maps with true offline maps and integrated turn-by-turn navigation. Nokia X has a 4-inch IPS capacitive display, 512MB RAM, 1 GH Qualcomm Snapdragon Dual Core processor and 3MP camera. Nokia X will be available in green, black, white, yellow, cyan and red colors. Nokia X+ is optimized for multimedia users with more memory and storage. Nokia X+ has a 4-inch IPS capacitive display, 768MP RAM, 3MP fixed focus camera, 1 GH Qualcomm Snapdragon Dual Core processor and a 4GB MicroSD card are included in the box. 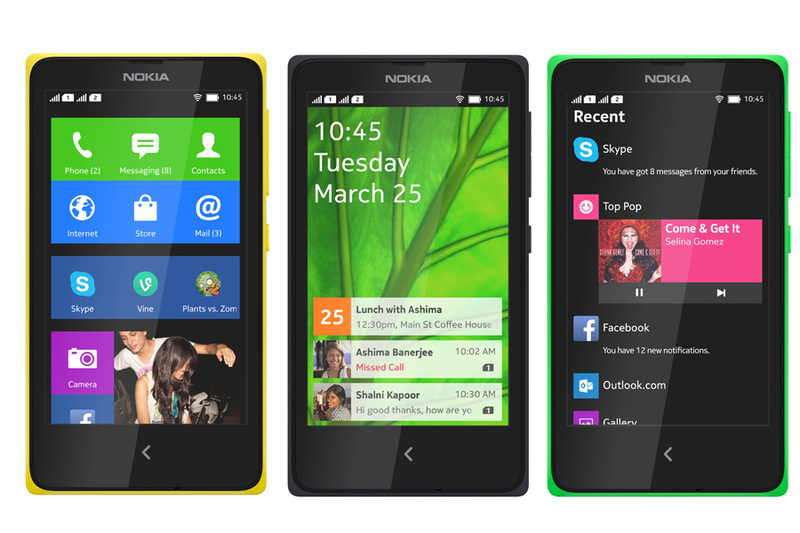 Nokia X+ will be available in green, black, white, yellow, cyan and red colors. Nokia XL is the big brother in the Nokia X family and it has a 5-inch screen, 768MP RAM, 1 GH Qualcomm Snapdragon Dual Core processor, 5 MP with autofocus and flash rear camera and 2 MP front camera. 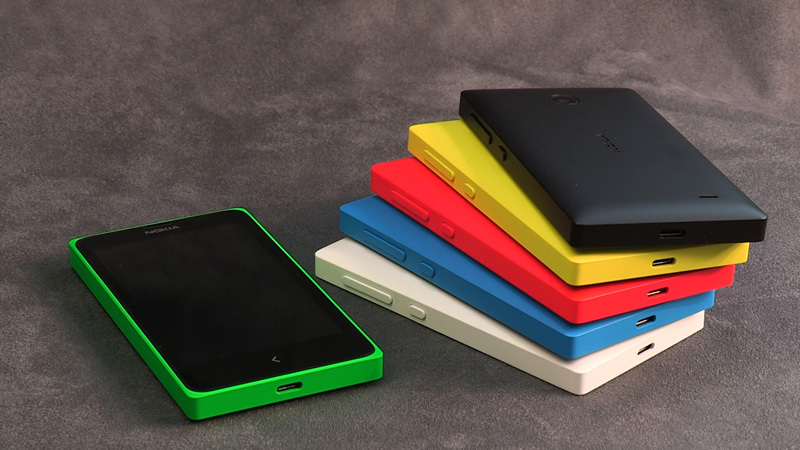 Nokia XL will be available in green, black, white, yellow, cyan and bright orange colors. The Nokia X will be available to buy immediately in Asia Pacific, Europe, India, Latin America, the Middle-East and Africa. The Nokia X+ and XL are expected to be available from Q2 2014.